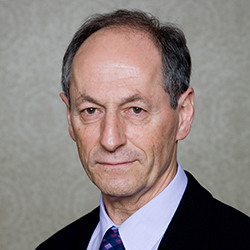 Sir Michael Marmot is perhaps the world’s leading authority on health inequalities. His work for the government in 2010, Fair Society, Healthy Lives, has helped shape policy and debate ever since. So when he says he is shocked, it is time to take notice. That was his reaction to the findings of his team’s review of the life chances of people who have learning disabilities, which has been compiled for NHS England. Professor Marmot says: ‘People with learning disabilities die 15 to 20 years sooner on average than the general population. ‘Were this an inevitable consequence of the underlying condition, it would be sad, but not so much a matter of social justice. ‘But that’s not what is shown by the evidence. People with learning disabilities are more likely than the general population to experience some of the worst of what society has to offer. NHS England agrees. It is in the process of compiling a new long-term plan for the NHS with learning disabilities already identified as one of the top priority areas. But it says it commissioned the report, A Fair, Supportive Society, to ‘draw attention’ to the issues faced by this group. The Triple P programme (a positive parenting initiative) was launched in Australia nearly 20 years ago. In the UK, it is used by some NHS clinical commissioning groups and local authorities to support parents. A bespoke version has been developed for parents of children who have learning disabilities. Called Stepping Stones, it is delivered in a variety of ways from light touch seminars to more intensive group work and one-to-one private consultations. The courses cover issues, such as positive parenting, helping children reach their potential and changing problem behaviour. Research shows it has had a significant effect on family relationships, reducing child problems and parental satisfaction. So how should society respond? The report by Professor Marmot’s team at University College London’s Institute of Health Equity says many of the early deaths could be reduced through improved care and preventive actions. It lists better housing, employment opportunities and parenting support as three main steps. The report highlights that families need support in the early years as children are more likely to grow up in households where there are ‘pressured parenting environments’ which can result in them struggling to form close relationships and lead to behavioural and mental health problems. 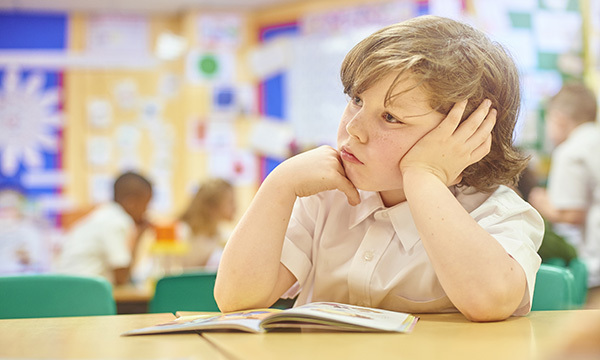 More than one third of children with learning disabilities have psychiatric disorders, one fifth have behavioural problems and one fifth have emotional issues. But evidence shows that nearly half of the increased risk of mental health difficulties may be attributable to aspects other than the disability itself. Poverty and poor housing are important factors too, with children who have learning disabilities more likely to live in cold, damp homes. As they grow up, they are also more likely to end up in prison and less likely to be in work. To ensure everyone gets the support needed, the report says identification of learning disabilities needs to be improved. At present 40% of people with learning disabilities are not identified in childhood. The report says the solution to this is for GPs, staff working in early years - such as health visitors - and schools to work more closely and share information, although it accepts services are stretched. Independent learning disability nurse consultant Debra Moore says earlier identification is important, but adds that diagnosis can be a ‘doubled-edged sword’ for those who are not entitled to statutory support because of the stigma they may experience. Nonetheless, she says the report is right to highlight the issues it does. Ms Moore believes improving access to general healthcare is also going to be important. She says mental health problems are accepted as part of the disability too often rather than something that can be tackled, and when it comes to physical health problems those who have learning disabilities lose out too. She says this is the case whether an individual is seeking help from a GP, in a care home or in hospital. ‘You have to be clear and assertive sometimes. People who have learning disabilities are not always able to do this and may not have an advocate, or they and their family may not be listened to. Learning disability nurses play a crucial role in addressing these issues, but the well-documented shortages are having a ‘huge impact’ on what can be done, Ms Moore says. Instead, she wants the wider workforce to take more responsibility, saying there needs to be a greater emphasis in pre-registration training on the needs of all types of vulnerable patients from people with learning disabilities to frail, older people. The charity Stay Up Late has helped set up a befriending scheme for people who have learning disabilities in several areas of the UK. The scheme, called Gig Buddies, is an initiative for adults who have mild to moderate learning disabilities who like going out to gigs and events. They are matched with volunteers who like the same music and are encouraged to go to an event at least once a month. Social events are also organised to bring together those involved. It was first launched in Sussex in 2012, but has since spread to other areas including Croydon, Portsmouth, Norwich and Calderdale in England and Mid and East Lothian in Scotland. In Hartlepool more than 15% of people who have learning disabilities are in paid employment – nearly three times the national average. Much of the credit goes to Hartlepool Borough Council’s learning and skills service, which supports people who have learning disabilities to find work. All clients receive a personalised package of support including careers coaching and work experience. The council’s regeneration and neighbourhood services division has been recruited as a main partner and offers volunteering, education and work placements. This experience is then used to help the clients find employment. The service has developed close relationships with local horticulture, catering, retail and healthcare organisations. 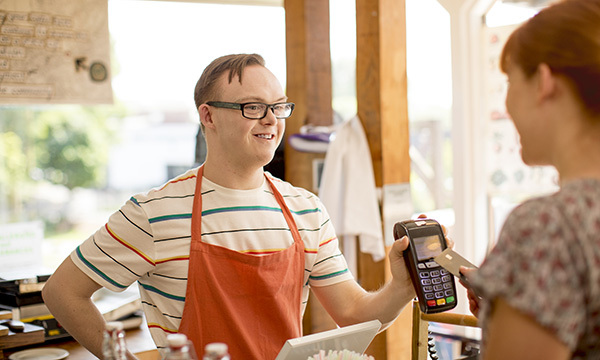 Employers are given support when they take on an employee who has learning disabilities, including help with human resources, employment law, and in-work support when needed.